Sit down and take a spin! 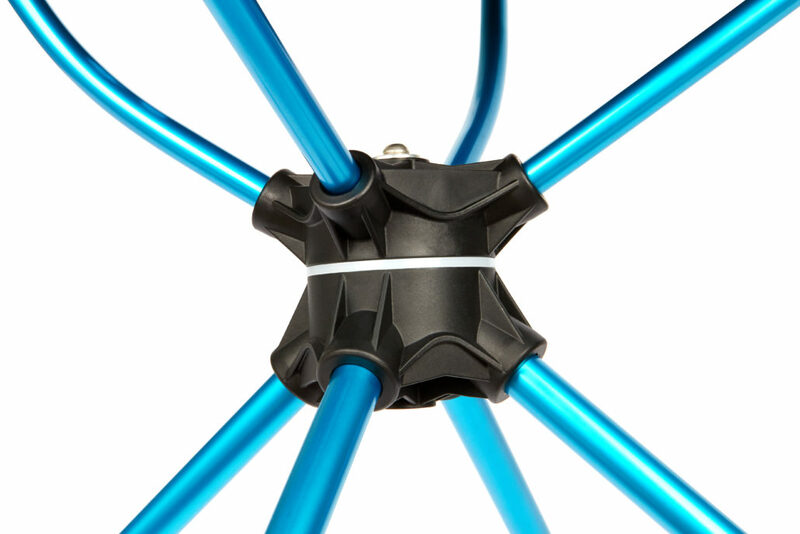 Helinox is known for its innovative and unique outdoor furniture. 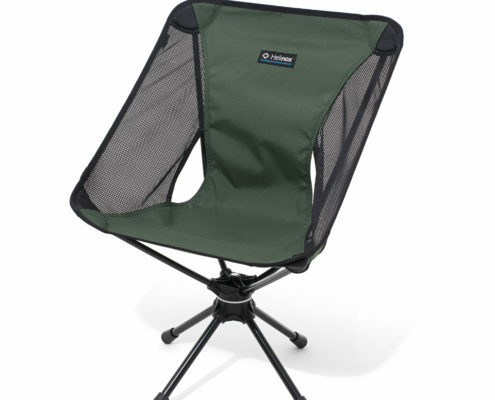 As the name suggests, the Swivel Chair brings swiveling comfort to the outdoors. 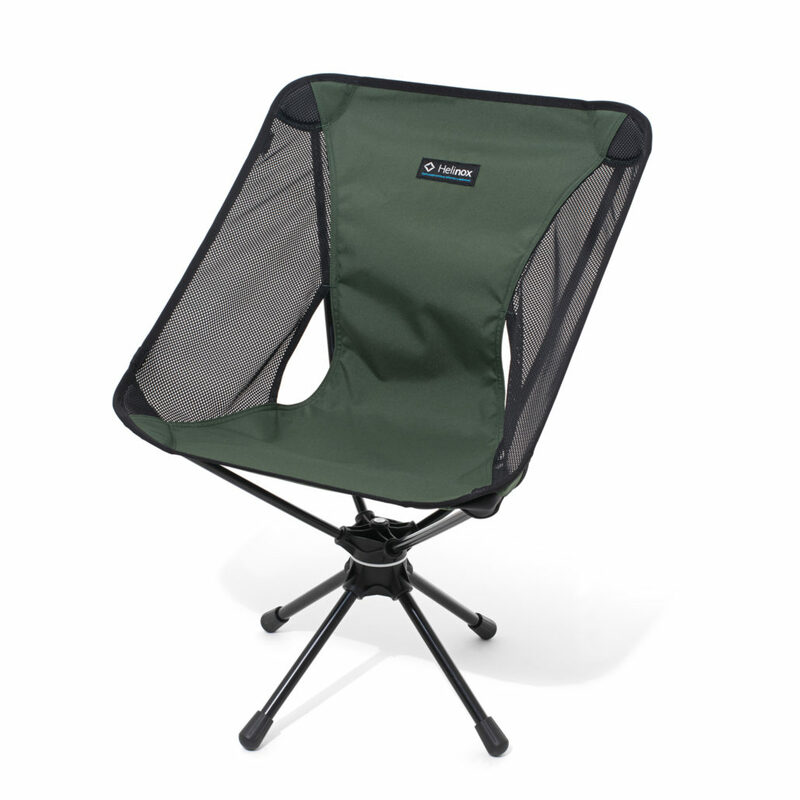 No matter whether you want to turn back and forth between table, cooler, stove and grill at the campfire, or relaxedly overview the mountain panorama after a long tour – Swivel Chair is equally suitable for campers, paddlers, anglers or hikers and impresses with its unique Helinox quality. 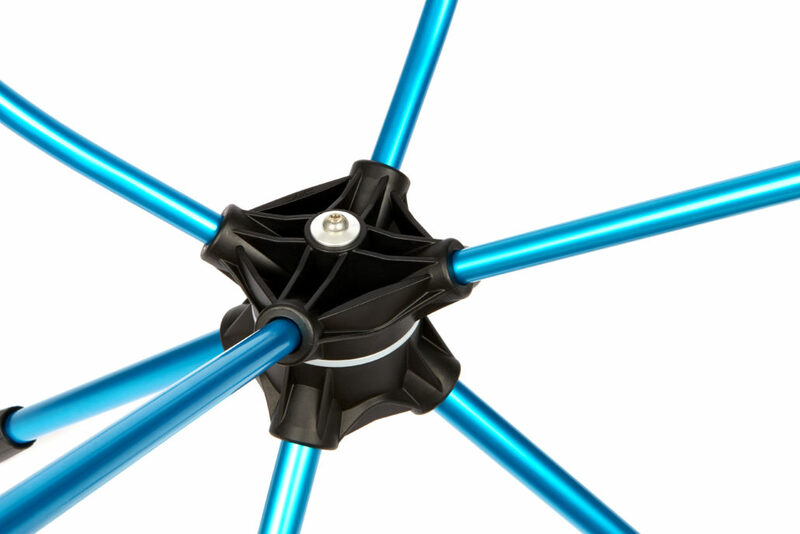 The vision of bringing the highest possible comfort and the best possible value to the outdoors world has always driven equipment specialist Helinox to come up with extraordinary ideas. 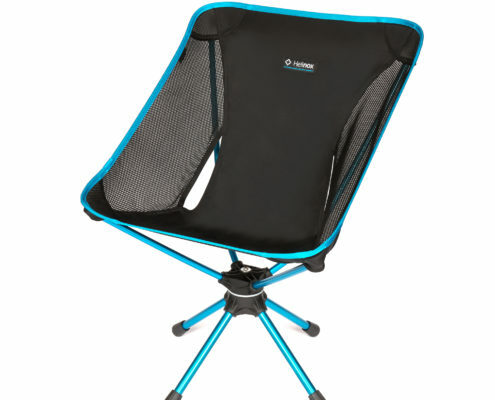 Swivel Chair is one of these. 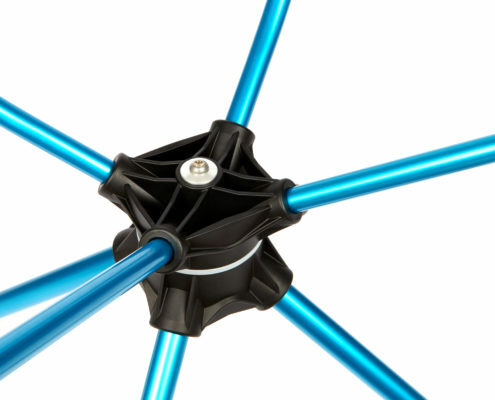 Its unique swivel joint underneath the seat allows the chair to rotate completely around its own axis. Cooking, sitting by the campfire and swinging to guitar music, barbecuing while reaching the cooler without any problems or enjoying the mountain panorama in its full glory – the Swivel Chair makes it easy. 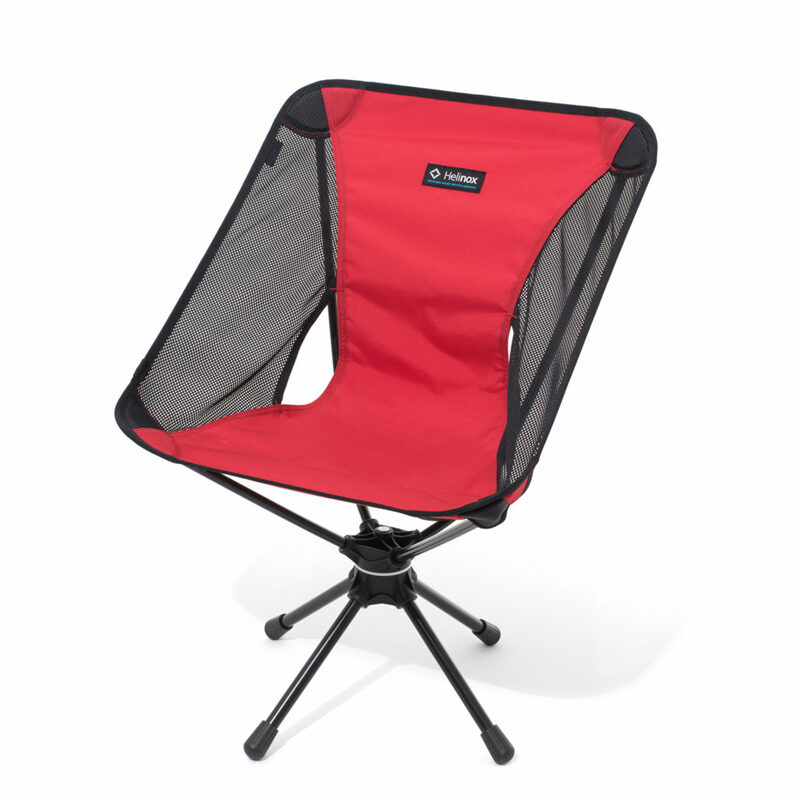 Like all other foldable Helinox chairs, it can be packed small. 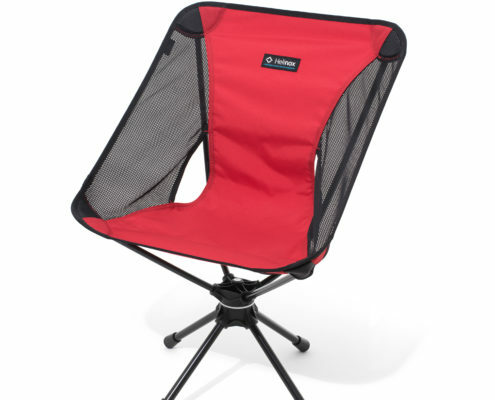 With a packing size of 40 x 12 x 14 cm (L x W x H) it is hardly larger than the Helinox classic “Chair One”. 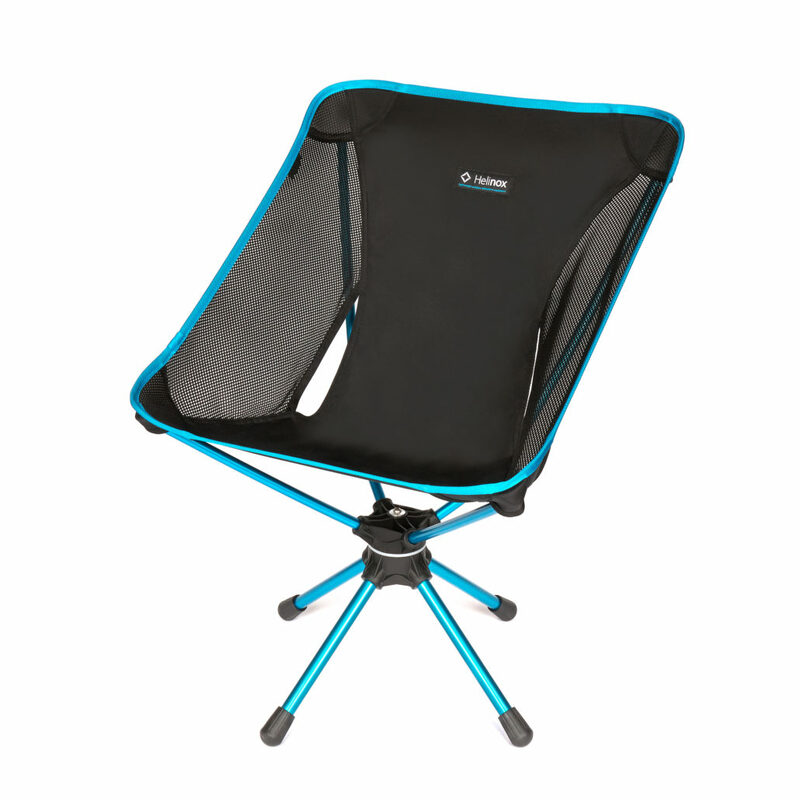 Swivel Chair’s design is also reminiscent of its brother model. 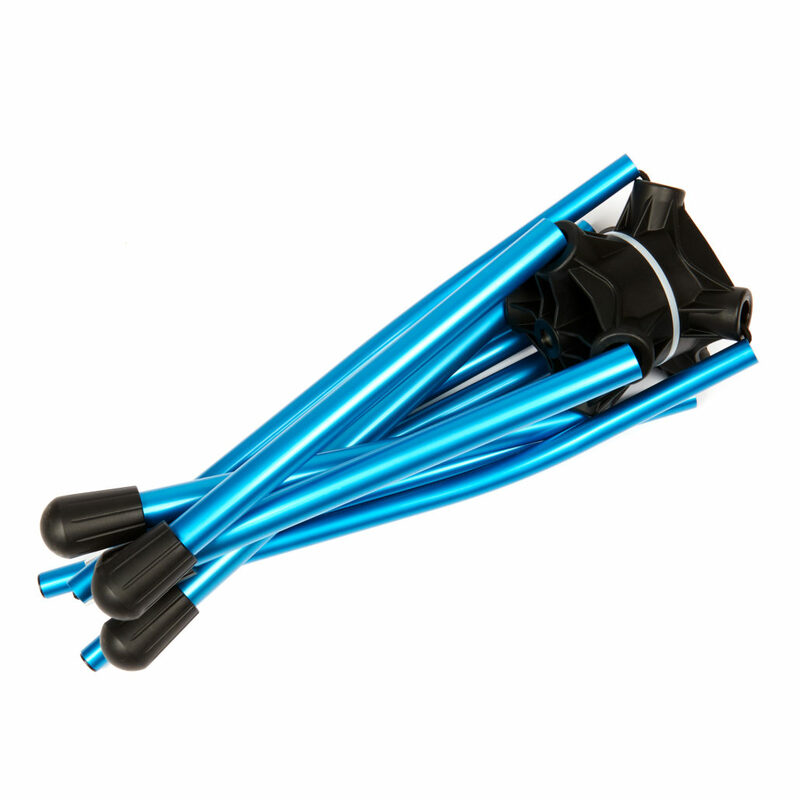 The aluminum frame is produced by parent company DAC using their green anoziding technology which is significantly less harmful to the environment. 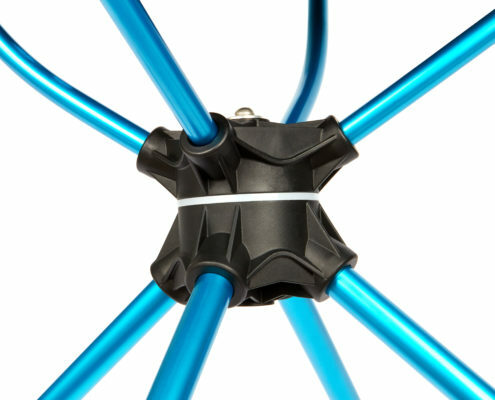 Elastic bands run inside the tube and help to assemble the chair. They almost automatically pull all the parts into the right position. Thus the chair is relax-ready in a matter of seconds. Swivel Chair can carry up to 120 kg and is available at retailers for a recommended price of 150 euros. In addition to the signature black, it also comes in colors red and green. Helinox designs and manufactures high-quality Outdoor equipment – chairs, tables, beds and trekking poles. Following the motto “Bring comfort for everyone, everywhere!,” Helinox combines style and modernity with unique technical expertise. 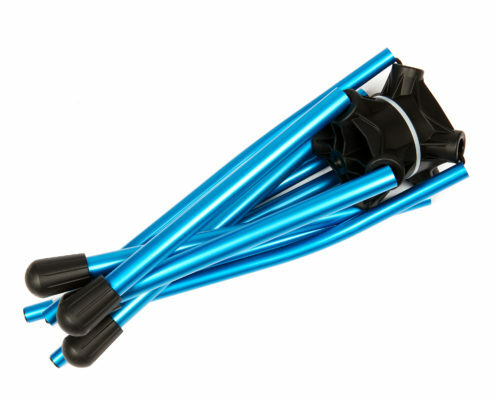 The South Korean, privately owned company is a spin-off of DAC poles and distributes in the Asia, North America and Europe. The European head office is in Amsterdam with central warehousing in Rotterdam. Helinox camp bed "Cot One Convertible"